How Can Your Business Benefit with a Specialty Printed Product? Consider the benefits of a specialty printed product, especially if your establishment has an outdoor dining area! Does your business need a boost? Consider the benefits of a specialty printed product. Stand out and grab some customer attention. In this blog we will talk about your business can benefit with a specialty printed product. What are two possible benefits? How does increased revenue sound to you? Less maintenance sounds good too, doesn’t it? Now let’s examine more closely how a speciality printed product can help boost your business. Do you have a homegrown product that is extremely popular with your customer base? Why not make it truly iconic? A three-dimensional structure representing that product can be built to help attract more attention to your business. This benefit is especially useful if your product is unique. Publicity is always good news, especially if it is positive publicity generated by your new specialty printed product. It can only help your business. Drum up additional business in your area! If you know a competitor or rival is soon vacating your area, why not try to hook their former customers? Increase your business’s profile – getting eyes on your business is the first step. Business canopies, a custom awning design, and the aforementioned three-dimensional structure can all draw in new customers. They might want to stop inside to ask about your exciting new product. Or they might want to learn more about what your business can do for them. Get your new specialty printed product up and running as soon as possible – the small bump from basic foot traffic can presumably snowball in larger profits. Need to have some extra shade? The sun can beat down on passersby as well as your front display. Installing some sort of specialty printed product can help with that. 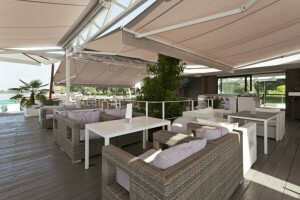 Choose awnings or canopies that can fulfill this purpose. This last point is probably most pressing for restaurants, which often feature an outdoor dining area that is popular in fine weather. The experience of eating outside is much more pleasant without feeling blinded or overheated. Best of all, if you protect now, you can invest in your future; eventual repair and maintenance costs will be lower because of your efforts and care right now.